This bright and quirky new shop is a welcome addition to Laipu iela. Zagatas Bode, or The Magpie’s House, at 5 Laipu iela, has something for everyone, and for all budgets as well. Choose from a plethora of hand-made jewelry –earrings, necklaces, bracelets – or hand-knitted hats and scarves. You won’t find anything like these items in any other shop in Riga! Also, if you’re interested in making your own similar creations, the back part of the shop sells individual beads and all of the accouterments to make the jewelry yourself. They even offer classes in how to do it! 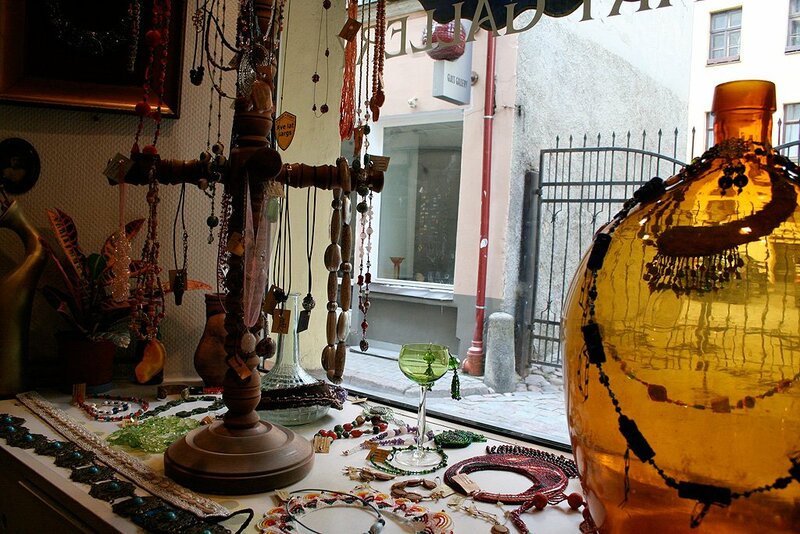 From modern-day versions of traditional Latvian jewelry, such as beaded examples of ancient Latvian patterns, to more post-modern eclectic wares, no matter what your taste, you’re sure to find something at Zagatas Bode!